This new surge in whisk(e)y popularity is a thrilling thing. 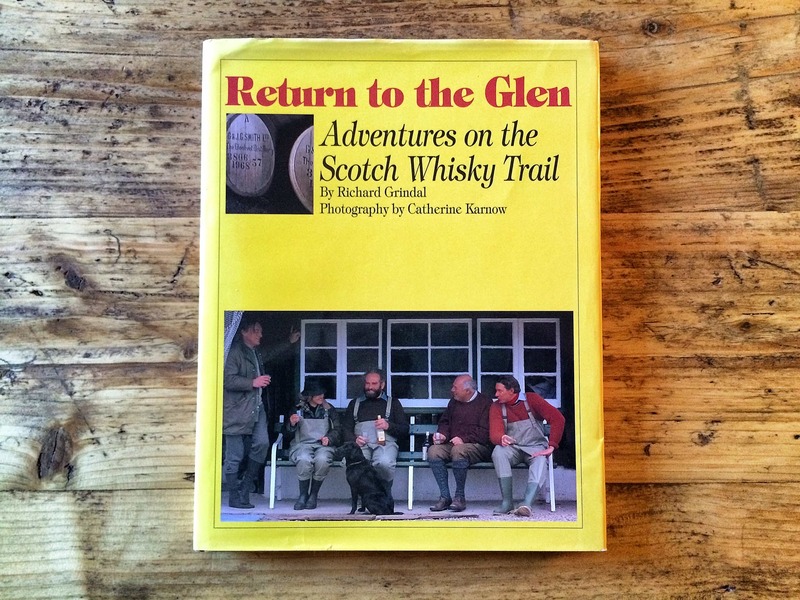 But I still find that wherever I go to drink I’m considered a rare sight: a woman who enjoys a glass of it, usually Scotch whisky, served neat. If I had a sip of Talisker for every time someone had eyed my glass and, with wrinkled nose, exclaimed, “that looks like what my dad drinks” or, worse yet, “that’s quite a manly drink you have there” I’d be soused. 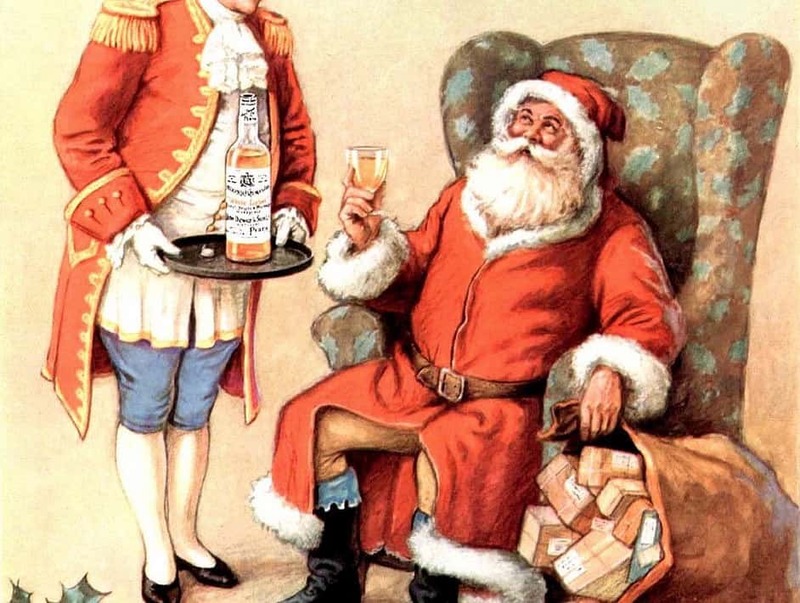 So I have decided to turn people, men and women, on to the pleasures found in a glass of amber. I suspect that once they stop seeing it as a drink to be had alone or in excess, with one’s head on the bar, they’ll see it much as they now see a glass of wine sipped while fixing dinner. It’s not just for hairy chests, anymore. Truth be told, I prefer the hair-growing flavors found in Scotch whiskies, like an Ardbeg or Lagavulin, with enough smoke to lift my skirt. But I decided to venture outside my comfort zone and go shake hands with some of the many American-made whiskeys out there waiting to make my acquaintance. To that end, I thought it best to start right here in Southern California. Halfway between L.A. and Nowhere lies a town called Bakersfield. The top oil-producing county in the nation and home to country music legend Merle Haggard, it’s the place many Los Angelenos consider merely a road sign passed on the drive to San Francisco. It was with this sort of ignorance that I entered the Daily Pint — one of the best whiskey bars in Los Angeles and just up the street from me (it’s important to have good neighbors). In the trusted hands of owner Phil McGovern, I tried a local whiskey of his recommendation and I’m glad I did. 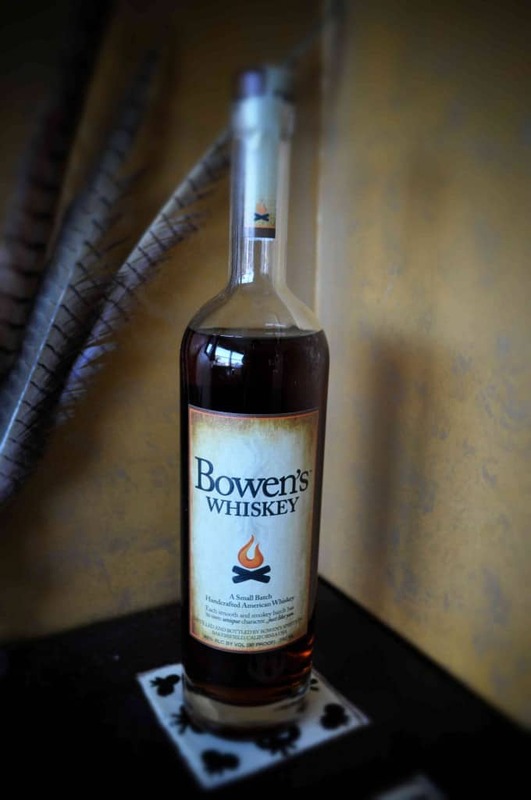 Apparently there is a new reason for whiskey lovers to give Bakersfield some long overdue respect– it’s home to Bowen’s Whiskey. 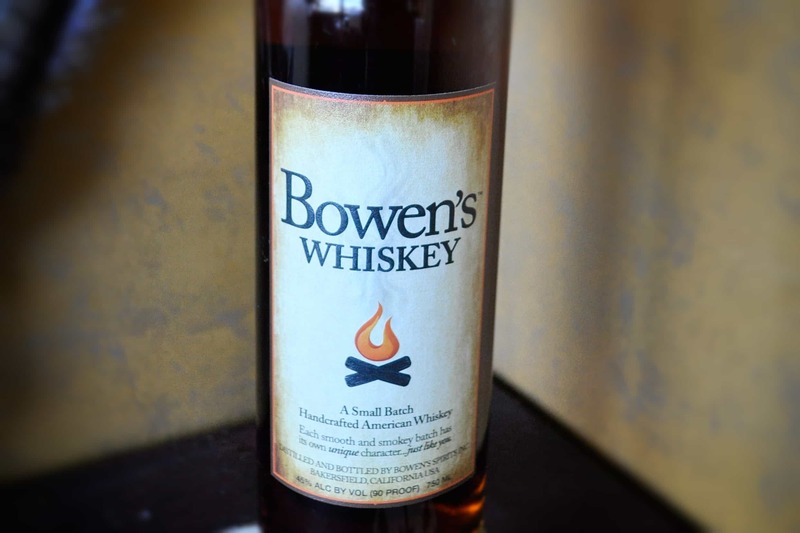 They keep things pretty simple at Bowen’s Spirits, making just one product from a recipe dating back to the days of the Whiskey Rebellion – Bowen’s Whiskey. The bottle and the website are purposefully free of a lot of details since they consider most of it proprietary information. It’s also a new micro-distillery, having just jumped into the business fully around June of 2012. A call in to proprietor Wade Bowen manages to unveil only a tiny bit more about it– 100% corn-based, with all flavor and color coming off of toasted oak. As for the rest of the process, Mr. Bowen replied, “we take it off at the right time”– which was a good enough answer to me. Let them keep their secrets, the one thing that’s made quite clear is that here is an easy whiskey to like. An interesting side note regarding whiskey-making in America, of which I am only now just learning more about in depth, is that federal law is tough on would-be distillers. It’s illegal to make your own so when a person wants to go into the business he is obligated to satisfy a slew of tight regulations, some dating back to our Prohibition era. One aspect of the law requires that only new white oak barrels be used each time. This means a lot of discarded barrels which is why so many find their way to the UK, among other places, so that distilleries like Balvenie can satisfy their own requirements of using only barrels that have once held something else! One man’s trash, another man’s treasure. Color: Orange-blossom honey. On the nose: Right up front, cherry and vanilla. Then, in the background, Mavrodafni wine. I’m yanked back in time to childhood in the summer time. Straight up chocolate Bonne Bell Lipsmacker. At least, as I remember it. I’m nostalgic already. In the mouth: A blast of Sugar Daddy dipped in milk chocolate hits you up front and stays with you. The bottle and website mention a campfire flavor, implying a smokiness that this Lagavulin fan just doesn’t pick up. But after a few sips I realize what they’re referring to: it’s the flavor that hides behind a campfire’s smoke. That’s the only way I can describe it. For me, the more upfront flavors are what delights. With each sip, I sink so deeply into the dusky caramel that it’s a wonder I don’t drown. I’m eleven years old once again, behind the fence at my neighborhood pool, eating candy from the snack bar and emphatically telling Jimmy Donohue between mouthfuls that I won’t meet him down by the creek – not now, not ever. Yes, even after he gets his braces removed. Bakersfield, I salute you. For the many people who tell me they find whiskey intimidating, I urge you to give this one a try. The burn that so many find off-putting is minimal, it’s that smooth, even at 90 proof. Here is a whiskey for those who think they don’t like whiskey. And for those who do, here’s one to have outside under the stars or inside by the fireplace, thinking of days long past. Their website bowenswhiskey.com offers a list of all the places one can come face-to-face with a glass of it. Once you do, you’ll notice how accessible a whiskey this truly is. If you’d like to take advantage of a pre-sale opportunity, imbibewine.com offers Bowen’s Whiskey for $38.99 a bottle, with 6-and12- pack cases available, as well. While it’s not yet widely available on the liquor store shelf, this whiskey’s fast-spreading popularity through word-of-mouth seems likely to expand their reach considerably. Here’s hoping it makes it to your own shelf soon. I think I’ll just stay here and drink. ahh hah! I too am a woman who loves whiskey (whisky too!). People think I’m nuts. It’s been exciting to watch my brother get this great whiskey off the ground. Glad to see you’ve not only tried it but were impressed! I tried Bowen’s for the first time about a month ago. Found it to be a solid entry but am not ready to add it to my list of favorites yet. But I liked your review — full of useful information.